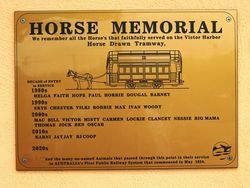 A plaque commemorates horses who have, and are serving the tramway , and those which have died from the 1980`s until the present date. 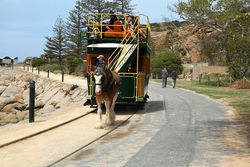 The Victor Harbor Horse Drawn Tram uses 14 Clydesdale Horses on a rotational basis with the trams accommodating approximately 50 passengers. Each horse works only two shifts a week with the trams running on roller bearings, to make it easy work for them. 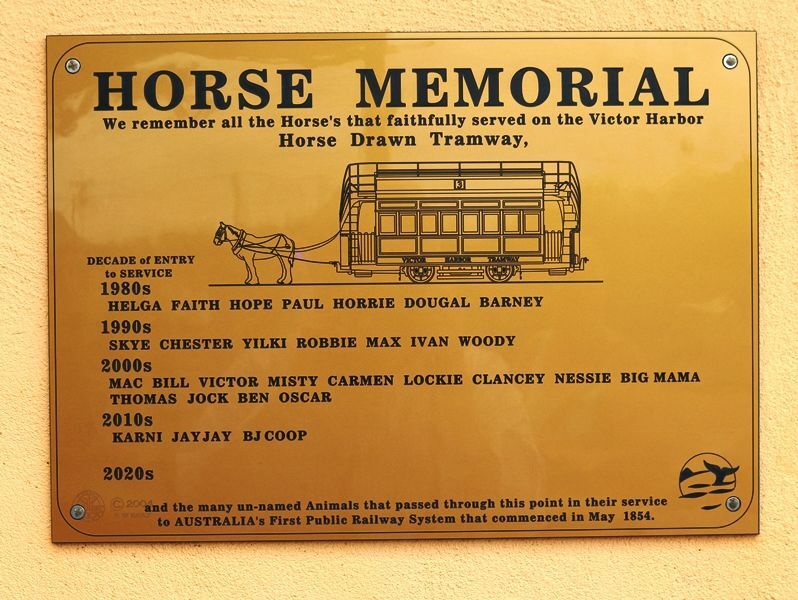 and the many un-named animals that passed through this point in their service to Australia`s first public railway system that commenced in May 1854.